marble floor design » marble floor design star | Marvelous Marble Design Inc.
Home remodeling is a continuous process that improves with changes in the architectural and technology sector. New home flooring designs have hit the market and better materials are available. Marble stone has been in use for many decades as it is more durable and easy to clean. Today, there are many diverse and distinctive marble floor design star to choose from. You can also use marble floor borders to define an important part of your house. Marble floor medallions come in varied designs and you can choose one and incorporate it in your home. You can also use help of an expert and have one customized for you. For instance, you can design a family crest and put it in your foyer or living room. 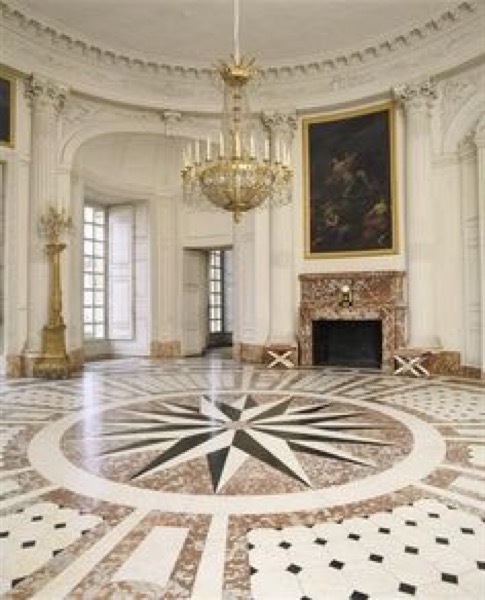 Marble floor medallions are designed to fit in stone floors as well as hardwood floors. The size of your house does not matter. You can find wide-ranging sizes in the market or have an expert customize one in relation to the available space. Marble floor medallion prices vary, but you have to consider the size of the available design. For instance, this marble floor medallion design can cover a large area in the living room or main foyer. This is a waterjet stone medallion that is quite popular amongst many homeowners. It provides widespread options to improve the look of your home. It is a well-polished marble floor medallion and has no gaps or grout between the pieces used. This makes it easy to clean this marble flooring design. Marble floor designs are known for the unique physical look that they bring to your house. This marble floor design comes in diverse color contrasts such as cream, black and white. These colors are known to represent anything from peace to calmness. This marble floor medallion design also features a distinctive compass-like design that will give your home a new look. This design also features marble floor inserts and borders that give your house a classy style. This marble flooring design will bring charm and elegance to your home. Remember black and white shades go well with any color. You can also accessorize your sitting room with wall paintings, lighting chandelier and wallpapers. With the easy availability of marble floor design, ensure that you buy your favorite design from the best dealer. The available marble floor medallion should also be an artwork by an expert. The final design should exhibit all features that you are seeking. You can also seek professional help and choose quality marble floor design or flooring borders. At Marvelous Marble Design Inc. we guarantee you quality and distinctive marble floor design and medallions for house interior. Our prices are affordable and vary with the model you choose for your house. We operate on 24/7 basis and our support team is here for you. Get in touch with us today and find a better way to improve the look of your house. Posted 2 years, 4 months ago at 12:10 am.